After the swearing-in ceremony, our whole training group promptly said our tough goodbyes, and we were bused off to our respective communities. Packed days of training alongside an incredible group of friends and PC staff instantaneously became relatively free days of pretending to have a clue of what I should be doing and what it means to be a Peace Corps volunteer. In other words, the process of integrating into the community. Words aren’t sufficient to thank my Lima host family for all their patience, love, and support. They welcomed me in when I had quite literally no words for them and showed me what Peruvian hospitality and cariño (great love and affection) is all about! Although I’ve experienced a vast shift from structured activities to an open schedule requiring my own self-motivation, this sea of unknown challenges and opportunities is what we volunteers live for. The chance to speak only Spanish — to play too much soccer — to eat whatever is put in front of you — to begin investing in the families and communities with whom we will share the next two years. These challenges are what motivate us, but also what we struggle with on a daily basis. A tension exists between the excitement of new experiences and the manner in which living continually in a foreign context takes a toll on you. Of course, having only been in this reality a little over a month, I’m just beginning to understand this dynamic. As of now, most challenges seem interesting and even comical. 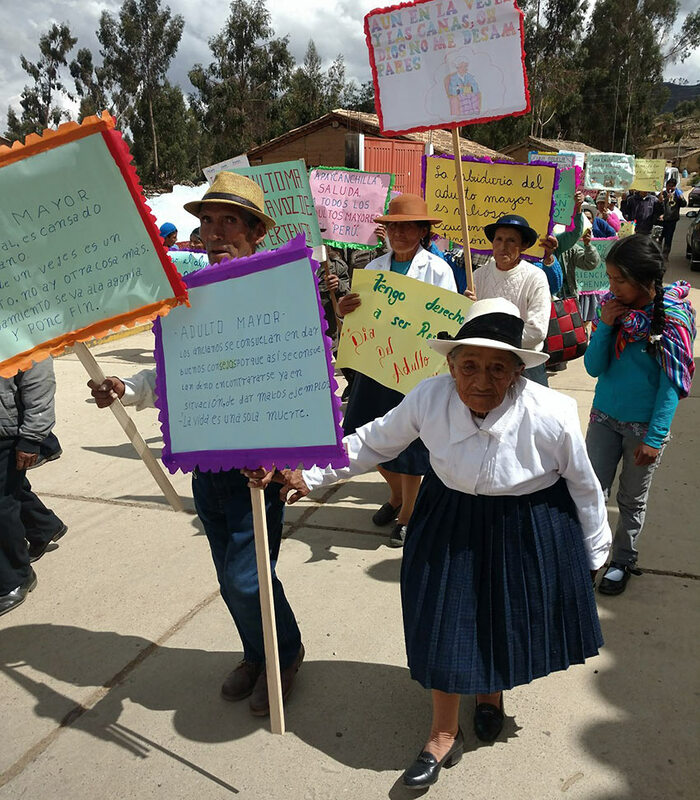 But as difficulties begin to compound, the goal becomes investing time and love into my community until what now feels foreign becomes familiar — until strangers become friends, suspicion becomes trust, and Huaricolca, one of nine districts in the province of Tarma in Peru, becomes my home. If I’ve learned anything Peru, it’s that FÚTBOL IS LIFE! The students and parents of the whole community all share a passion for the sport. Like all sports there are strong rivalries, but when it comes to the Peruvian national team, the whole country unites! 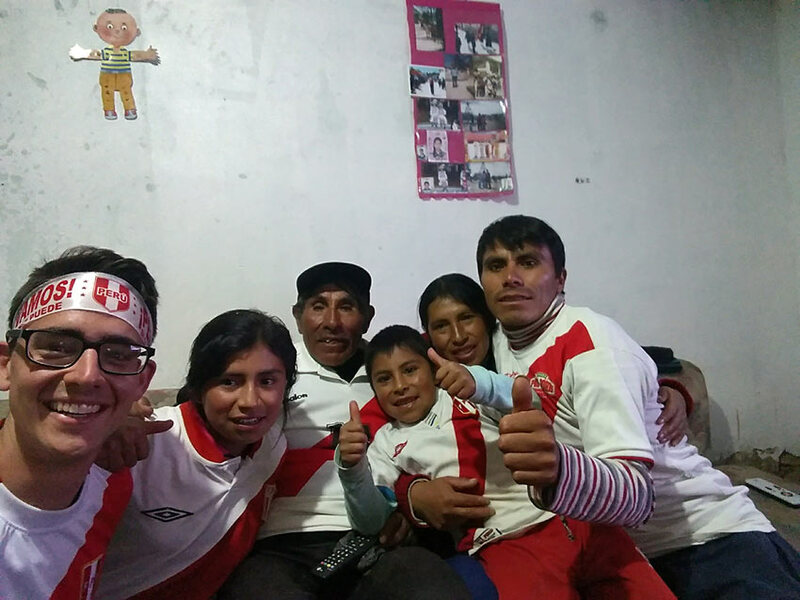 I was lucky enough to watch with my host family as Peru qualified for the World Cup for the first time in over 35 years. So how do I share what the last month and half of life in Peru has been like? Adequately sharing about my life here to my family and friends in the U.S. has been difficult. Not because of my life here is spectacular but because explanations and stories lack the depth of real experience. And in my community, I am the only person experiencing daily events from my white, male, middle class American cultural perspective. There’s only one gringo in town — it’s me! Many things I find beautiful, captivating, hilarious, scary, or disgusting are often seen differently by locals. Not always, we connect on many levels. Yet sometimes I want to nudge the person next to me and say (in English of course), “Did that really just happen?” I want to encapsulate the moment, image, or event and program it into the Adventures in Odyssey “Imagination Station” so that others can relive it with me. But time doesn’t work that way; we are forever in the present. In my understanding of time, the present is all that exists. The past is frustratingly unchangeable and the future untouchable. One of my primary jobs these first 3-6 months as I’m trying to integrate into the community is learn as much as I can. Through a survey that the Peace Corps Youth Development Program has designed and other community organizing tools, I will be putting together a Community Diagnostic and eventually presenting it to all the leaders of the community. 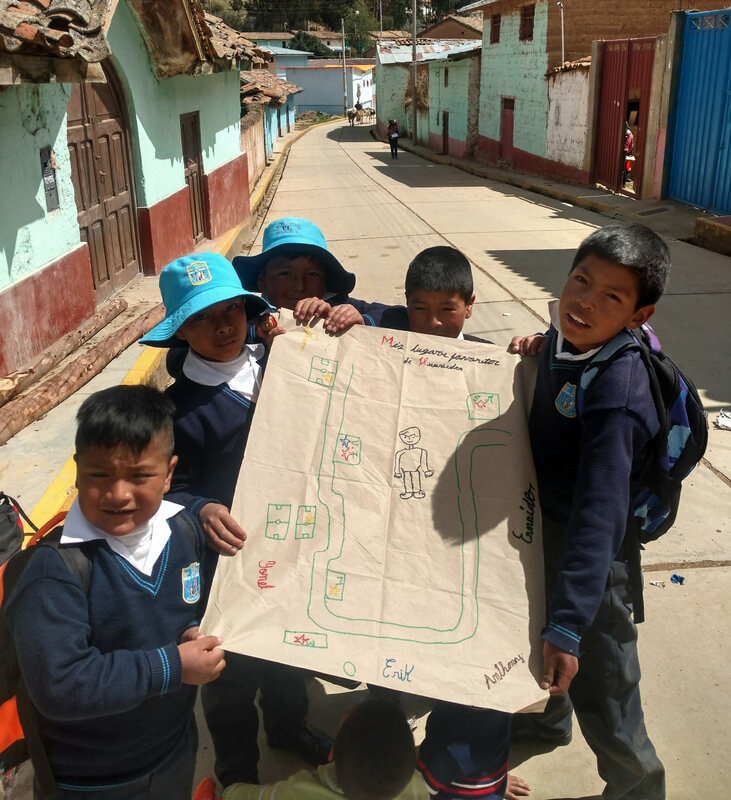 Here, I ran into some students from the primary school, and they helped me make a community map with their favorite places, where they spend most of their time, and where they go with their parents. Perhaps this is one reason we are drawn to taking photos, and one reason I want to share some photos from the community here. We click, grasping at a moment trying to capture its fullness, trying not to let it escape. 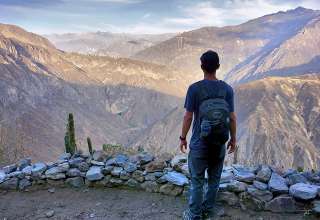 While I might be the last one to request a picture back home, in Peru I find myself pulling out my cell phone, attempting to hold on to an image or a moment. When I see my elderly neighbor knitting in her field, and I know she’s been there for hours — when the primary school students swarm me at recess because I’ve made a coin “disappear” — when someone at a graduation hands you a sleeping baby — when your host grandpa tells you an ancient story, I want to guard the moment and share it with someone else. While they can be powerful, I also think photos can detract from the very moment we are trying desperately to preserve or share. A device now stands between you and that which you are experiencing, separating subject and object. Perhaps this is a false dichotomy, as a good photographer has a way of negating this separation and using the device to draw closer to the moment. Yet as someone who is not a photographer, I do feel that something of the moment is lost when viewed through my cell phone screen. Aniversarios (Anniversaries) are a big deal in Peru. Sometimes the aniversario of a town is their biggest celebration of the year. 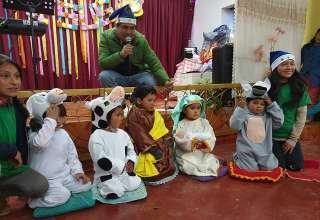 This is a picture from the anniversary celebration of the primary school. 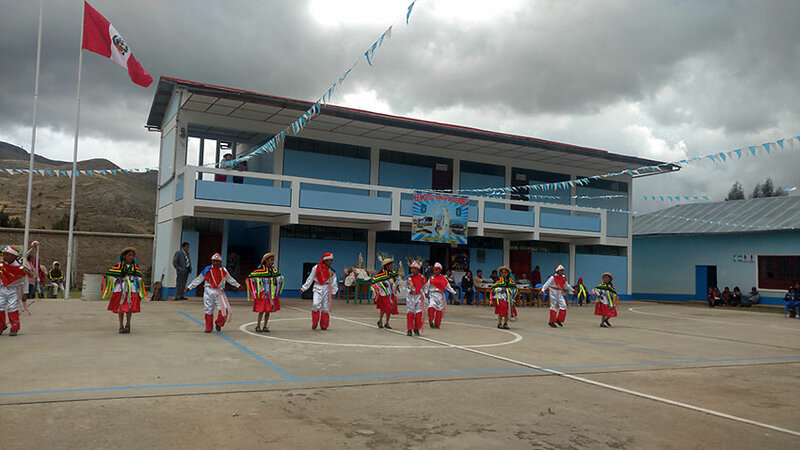 Each grade performed a different traditional dance as part of a competition. 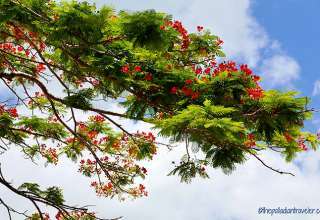 Photos often portray the best of life and leave the reality of pain and struggle behind. Look no farther than social media, where photos are used to either depict beauty and success or sensationalize suffering and pain. I have done the same, even in this blog and this very post. When I wake up at 3 a.m. with diarrhea, my first thought is not to capture the moment forever (although sometimes the PC doctors do need photos!). When another community member asks me if I’m an hermano (brother in Christ/evangelical/missionary) or a Mormon and I wonder if anyone knows why I’m here or what Cuerpo de Paz (Peace Corp) means, I don’t take a selfie to commemorate the moment. In other words, these photos fall short of reality. It looks like I have managed to philosophize about photos, while saying very little about my time here. Yet trying to live moment by moment in gratitude has been the story of my time here so far. 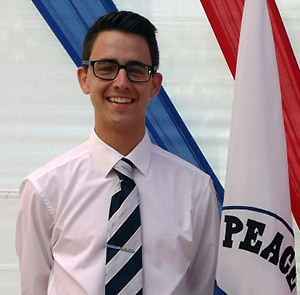 As a Peace Corps Volunteer, I have set goals and indicators as part of my programs, but am free to work with any and every organization in the community. Because of this, I visit the health post and local municipality multiple times every week to build relationships, learn about the community, and find ways to start partnering with them. Here I coordinated with and supported the Health Post to give a talk about HIV/AIDS and its prevention. Part of my role in the school is helping improve teachers’ lessons, especially in the form of non-formal education and activities. With many preoccupations, distractions, and challenges, for me success is trying to live in each moment, being grateful, and giving my best for this community and country. Sounds cheesy but it’s the only way. And for me, gratitude is an appreciation of all of life as a gift from God, something to be lived and felt to the fullest, whether joy or struggle. 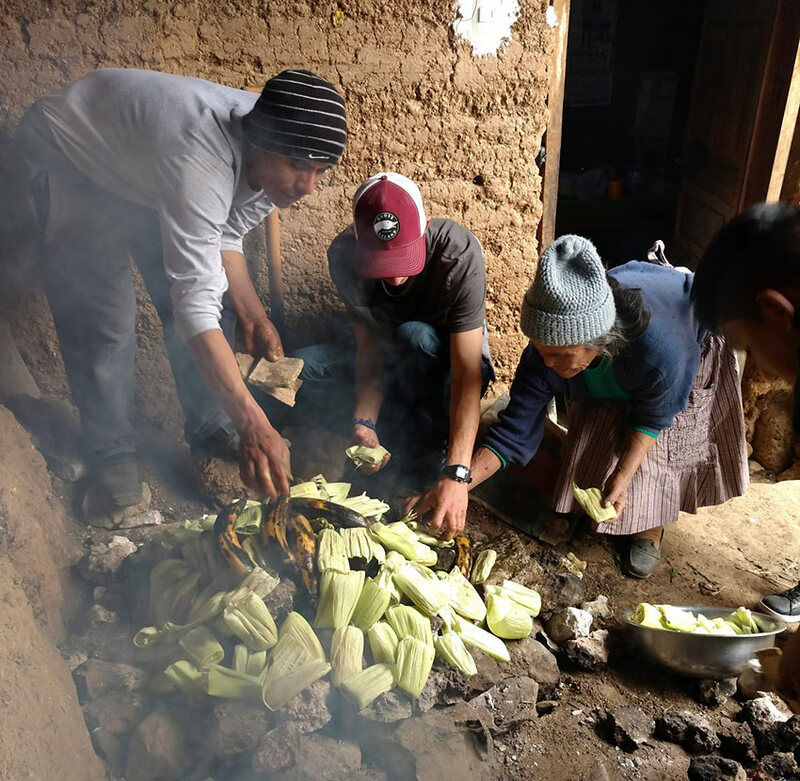 In Peru, food plays a very significant cultural role. To invite someone to eat is a sign of love and hospitality. One of the greatest labors of love is Pachamanca, which literally means “earth pot” in Quechua, the most common indigenous language of Peru. 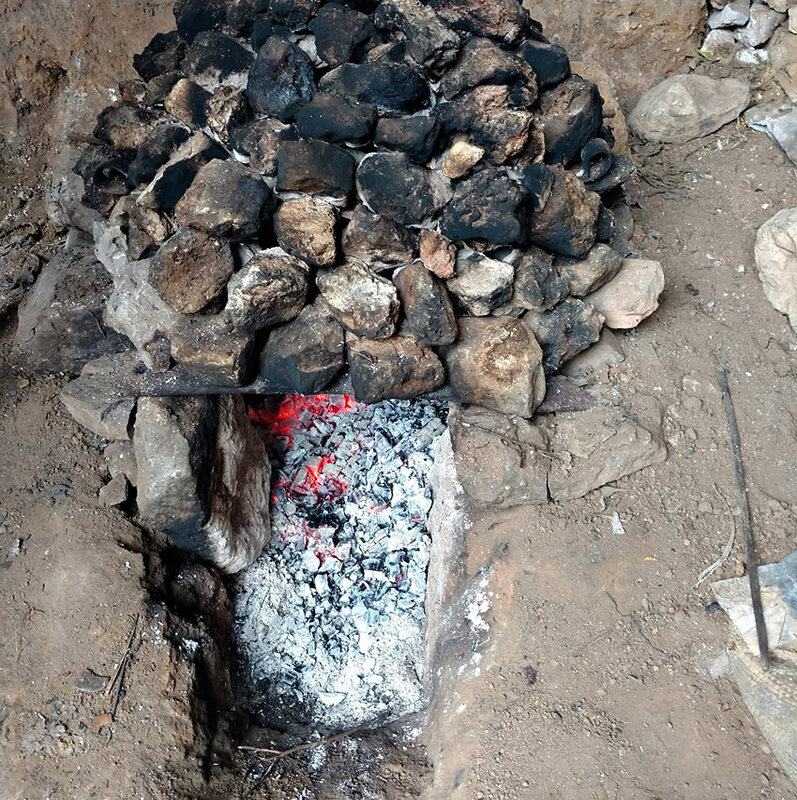 This one of the traditional dishes of the Sierra region and is made by forming an underground oven with hot rocks. You begin by heating the rocks over a fire until they are boiling hot. Next you scoop all the rocks out from the hole along with the coals and begin adding meat (in this case two sheep and a cuy (guinea pig), potatoes, yams, avas, the Peruvian equivalent of tamales, and plátanos. This is one of my favorite pictures from my time here so far. The smile on my grandma’s face says it all – she couldn’t be happier to be handing a raw guinea pig to a gringo like me. Once everything is piled in with the rocks mixed in-between, you cover everything with plastic and then dirt. An hour later you have almuerzo (lunch) which can feed a massive group of invitees! Making signs and walking through town is something often done for different national days. In this case, I attended an event for the National Day for Senior Citizens. Later, I would have the lovely opportunity to do a traditional dance with the small women in the front. All over Peru you find history of ancient cultures, from the Inca civilization and many civilizations before them. Learning bit by bit the endless histories and myths of my areas has been fascinating. 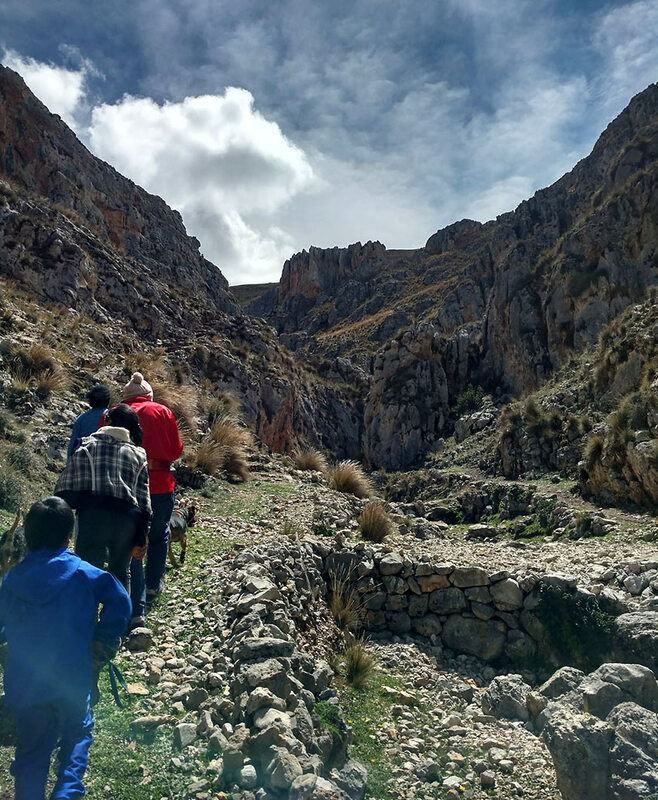 A short hike from my town there are some pre-Incan ruins and cave paintings which I’ve been told date back between 6,000-8,000 b.c.e. One Saturday we packed almuerzo and went for a visit. Here’s where the hike begins – these rocks were useful shelter for past civilizations. 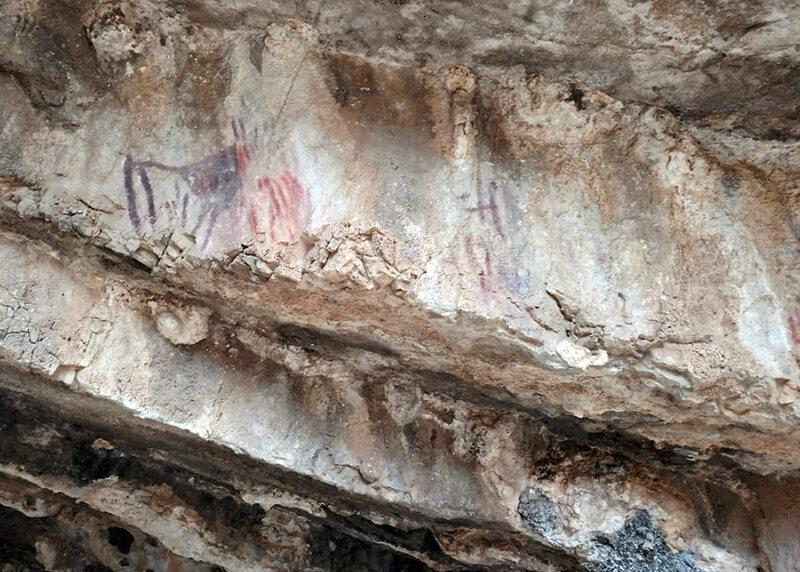 A few of the cave paintings in the historic location Mamahuari, an hour hike from my town center. Nice. Super interesting and very well written. Looking forward to your next article. Thank you! 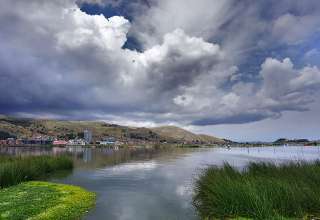 I appreciate the encouragement and hope to continue writing about my experience and Peruvian culture. 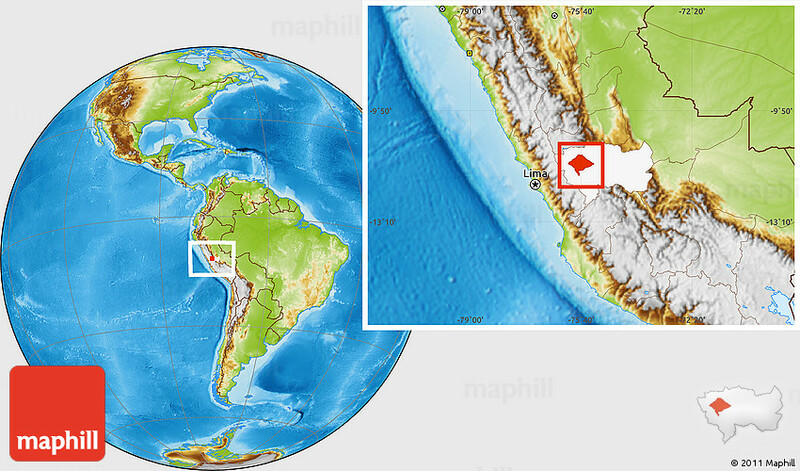 Peru certainly has made an impression on you and it’s quite obvious through your beautiful writing style. These fleeting moments in time, cherished memories, will forever imprint themselves upon your spirit to leave an indelible mark of excitement, compassion and adventure. But most of all, a shared love between you and your new family. 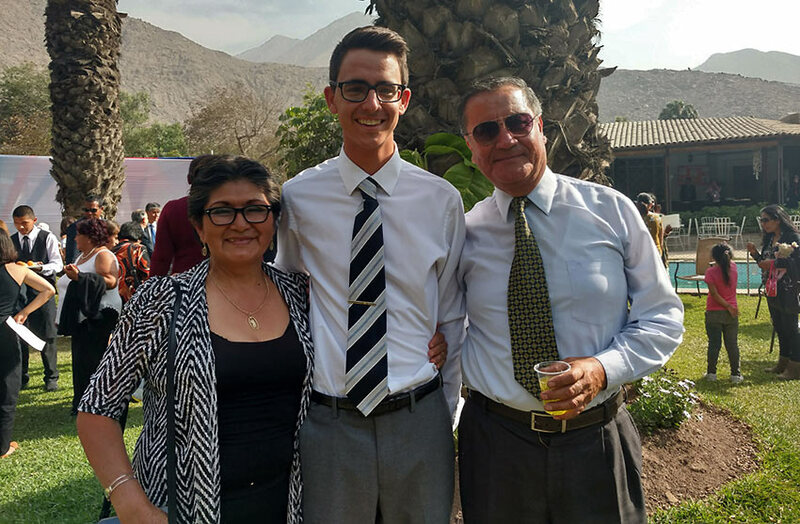 Thank you for sharing your Peruvian immersion with all of us! Very well put! I’ve been fortunate with this opportunity to learn and see the world from a different perspective, which might be the most beautiful part of traveling in general. That was a simply spectacular article. The text superbly captured the essence of the marvel and other worldliness of your experience, while giving the people a respectful and dignified center place. Thank you for the kind words! I hope to be honest about the difficulties and differences of life here while also recognizing the beauty of the people and culture as they are. Ed Wow!!! I am soooo exited to read about these beautiful articles! Please keep writing and we shall keep reading!!! 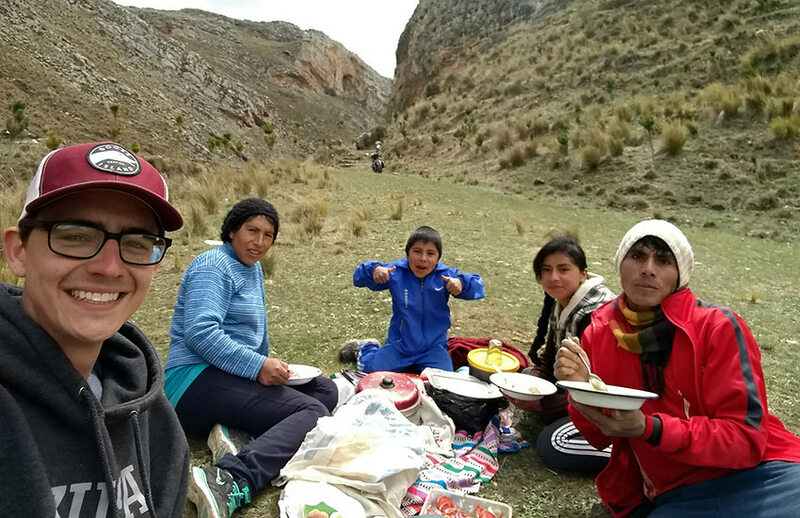 As a youth development Peace Corps Volunteer, Alex lives in a small community at over 12,500 feet above sea level in La Sierra mountainous region of Peru. Although born and raised in the Pacific Northwest, he spent the last four years studying youth ministry at Azusa Pacific University in Los Angeles county, including semesters in Oxford, England and Pietermaritzburg, South Africa which sparked his love for travel, culture, and service. 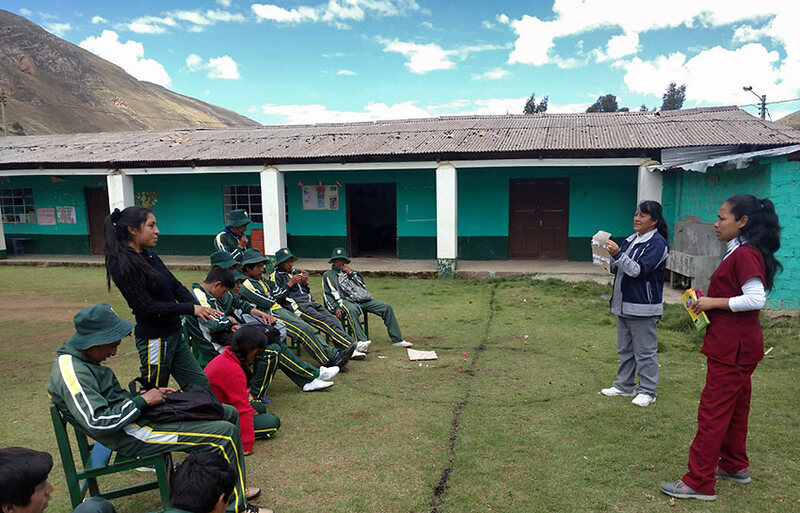 Alex currently supports and coordinates with the local school, health post, and municipality in the community to improve employability and life skills, community participation, and leadership among youth. 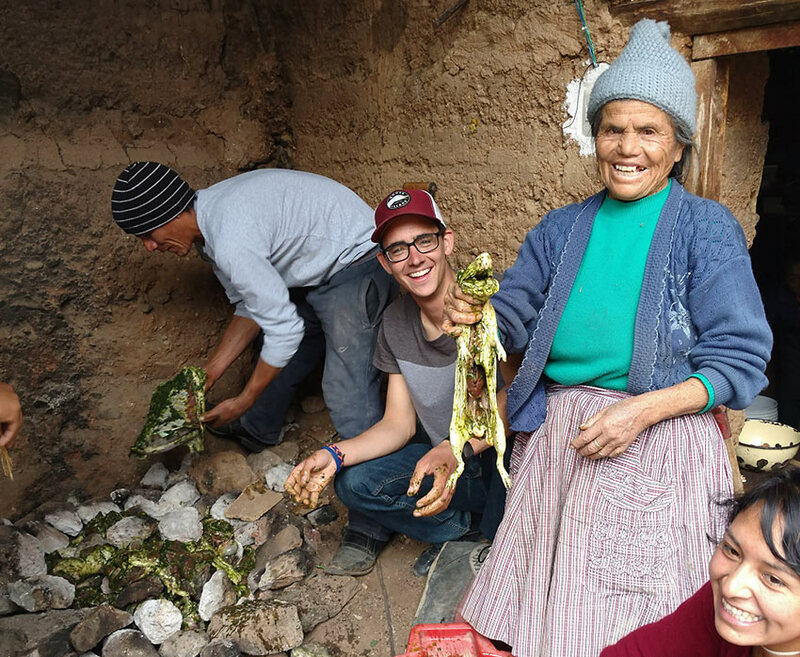 Eating guinea pig, learning to knit, speaking only Spanish, shepherding cows, and sharing life with his host family, Alex feels honored to experience the beauty of humanity and the world from a fresh perspective. In his free time, he reads anything from theology to fiction, pretends to be a poet and photographer, or finds a game of basketball or soccer to join.